of their recent research in this area, which used data from the German office for radiation protection (Bundesamt für Strahlenschutz). 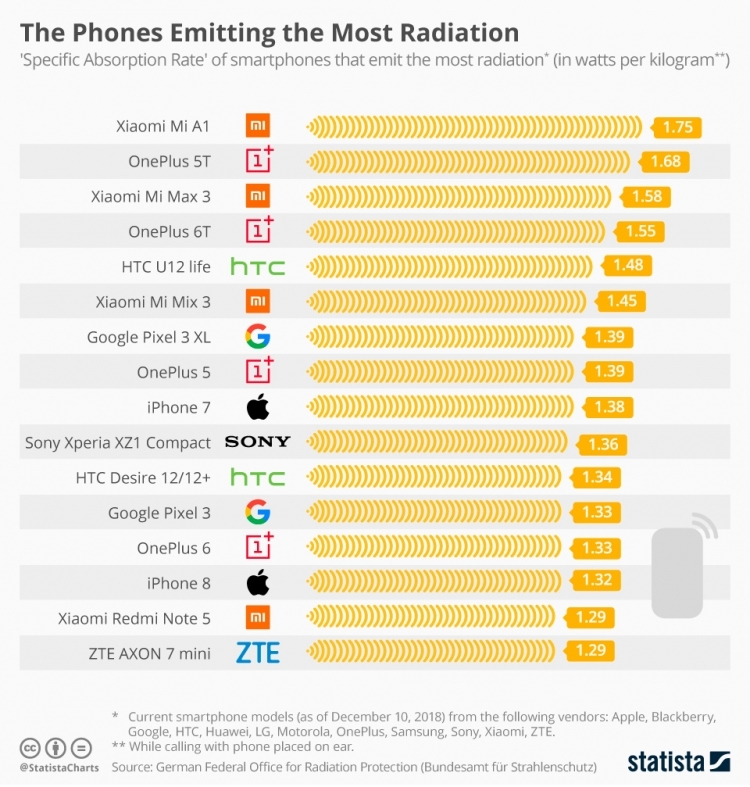 The above infographic shows that in the list of smartphones with the highest electromagnetic radiation (from 1.29 to 1.75 W/kg) exposed to four model Xiaomi and OnePlus as much. Twice “lit up” HTC, Google and Apple, once Sony and ZTE. Led the anti-rating Xiaomi Mi A1, 5T OnePlus and Xiaomi Mi 3 Max. Readers will surely note that in the “black list” was not a single machine of the brand Samsung. 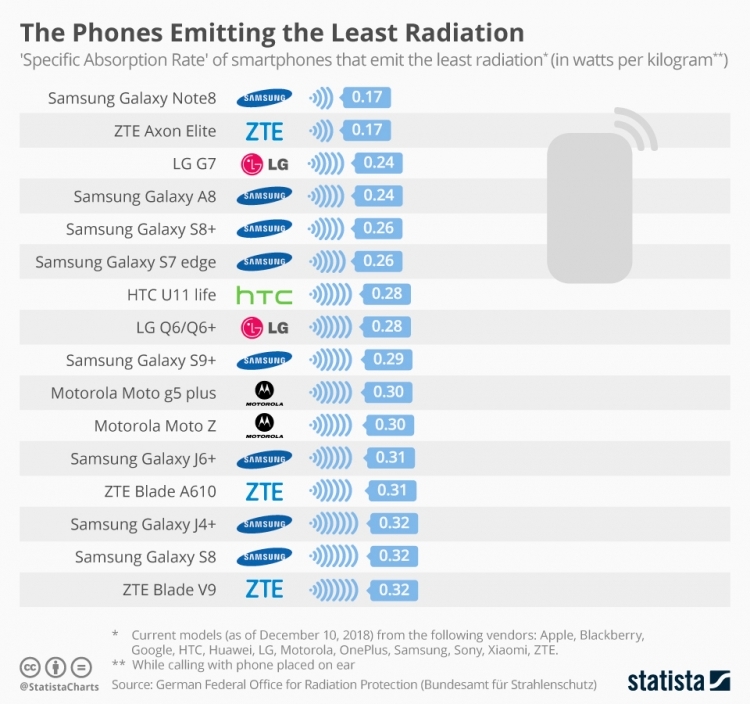 And all because products of South Korean giant was occupied by another rating is “white”, which includes devices with the lowest level of radiation (from 0.17 to 0.32 W/kg). The first is Galaxy Note8, which shares the podium with ZTE Axon and LG G7. Just the list of the most secure smartphones, there are eight models of Samsung, ZTE and three pair of LG and Motorola.